Look around your home, garage, and basement! See that old piece of furniture? Bring it in and let us make it a statement piece in your home! We use the best paint line, General Finishes, to create works of art out of ordinary, outdated furniture. This beautiful piece was painted by Katie Mullins! 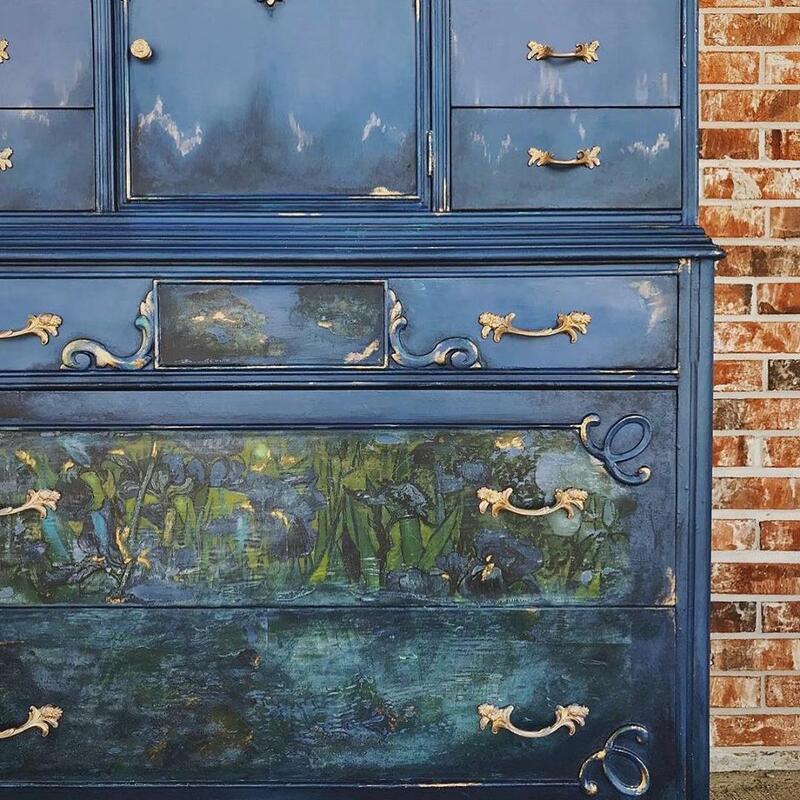 We love the incredible detail she put into this chest! Our paint line includes a variety of glazes, peal effects, and other finishes that makes each project unique.